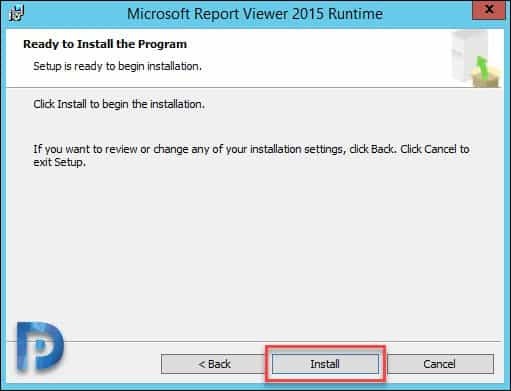 It’s been a long time since I published a SCOM install guide. 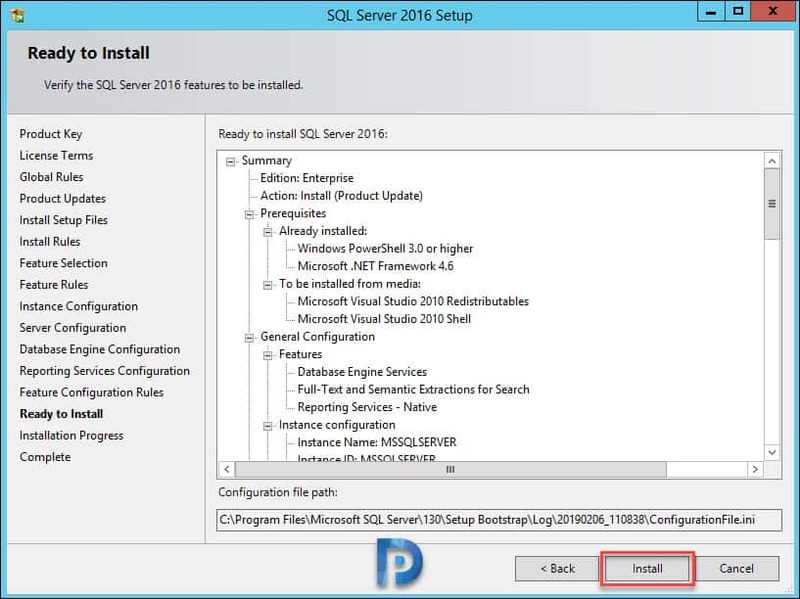 This post is a step by step SCOM 1801 install guide. 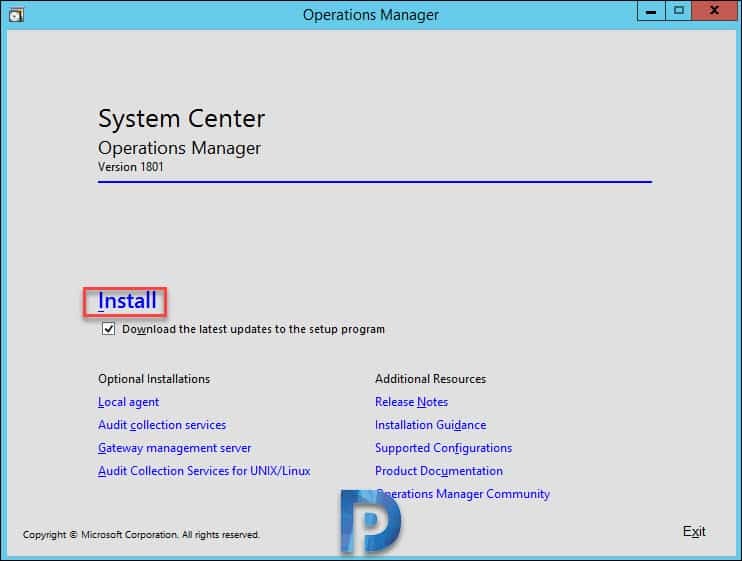 The last operations manager install guide that I covered was installing SCOM 2012 SP1. 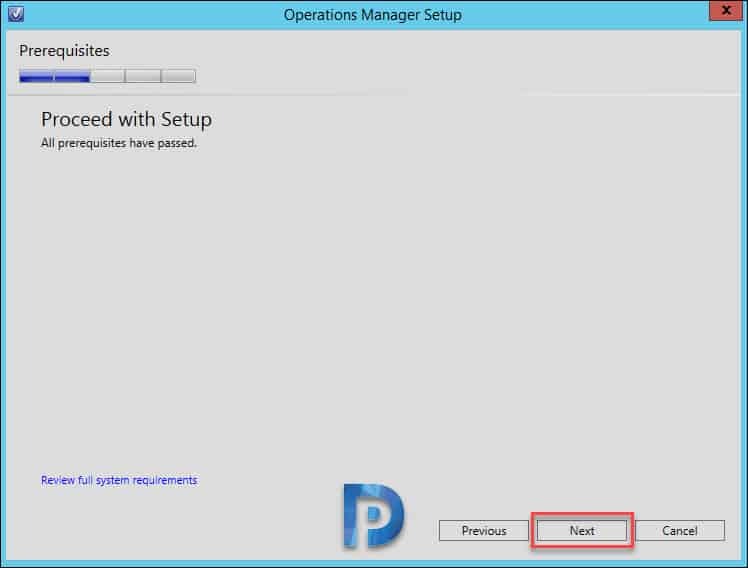 Since then a lot of improvements are made to Operations Manager with every new release. 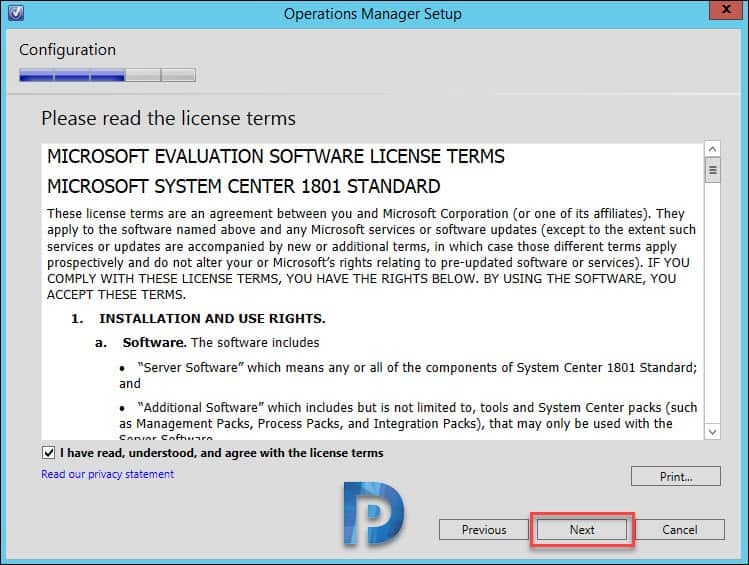 Seems like I am little late in publishing this guide because the latest version of operations manager available is version 1807. Maybe I will cover more about SCOM 1807 in my next post. SCOM version 1801 is a part of System Center version 1801 suite. SCOM 1801 is first semi-annual release by Microsoft. System Center 1801 Semi-Annual Channel releases have an 18-month support policy. Thanks to Microsoft for this change. By now you would be curious to know what new features does SCOM 1801 include. 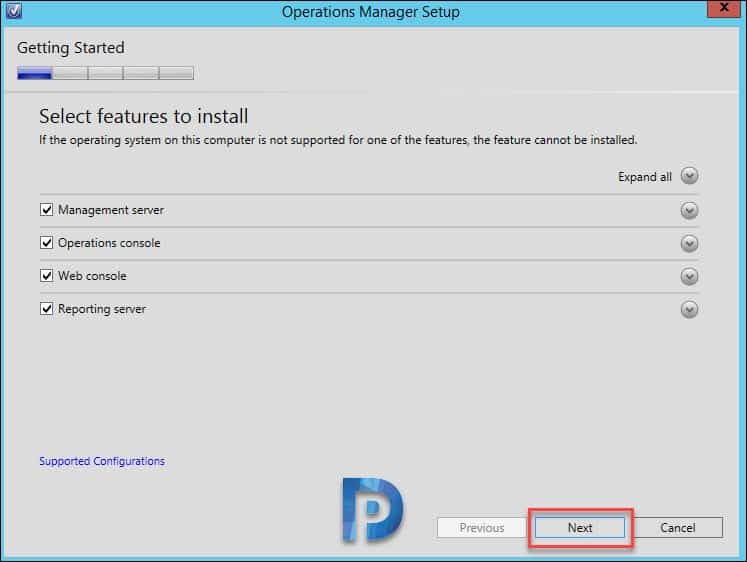 Here’s the full list of new features in operations manager version 1801. 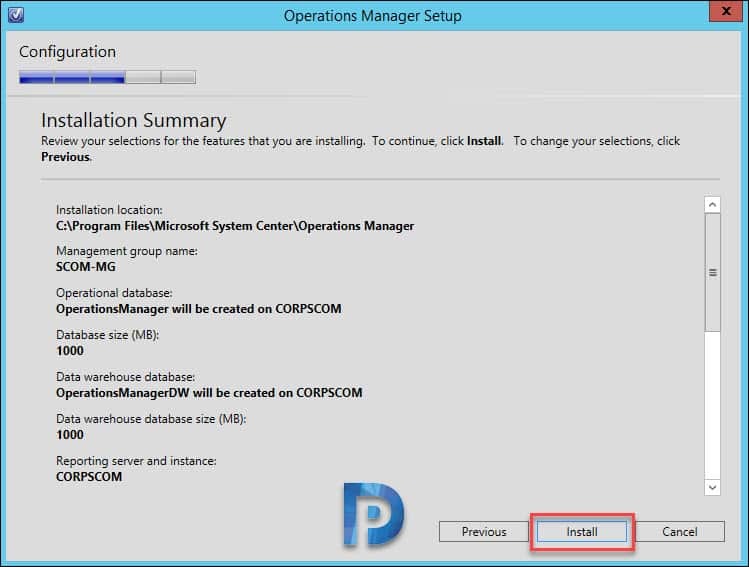 In this post I will be covering the SCOM 1801 install procedure which I am installing in my lab setup. I have a server that’s running AD, DNS and DHCP. Other VM’s are running client OS such as Windows 10, Windows 7. I also have a VM running Configuration Manager. For installing SCOM 1801, I have a VM installed with Windows Server 2012 R2 DataCenter edition OS. The VM is allotted with 8 GB of memory and 120 GB C: drive space. 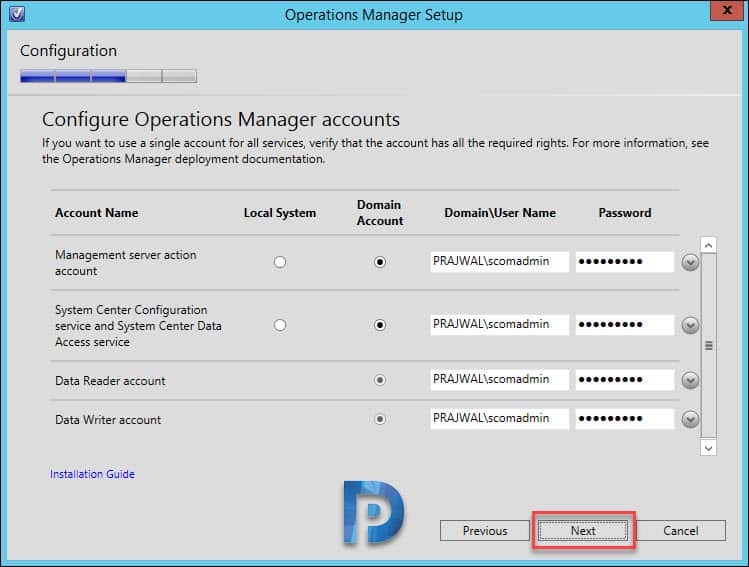 When you install Operations Manager, you have the option of specifying either a domain account or using LocalSystem. The more secure approach is to specify a domain account. Throughout this post, I have used a single account called scomadmin to install SCOM 1801. This account is a member of domain admins group. Since I am installing SCOM in my lab setup, I am keeping it simple. 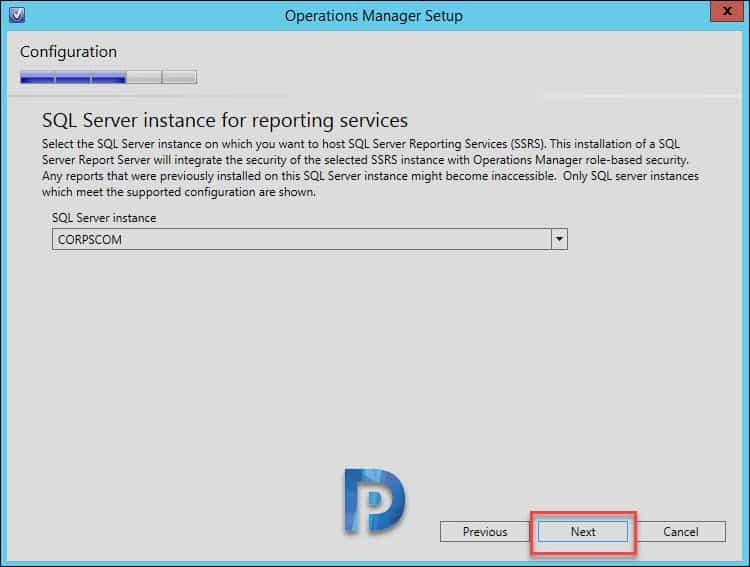 If you are installing SCOM in your organization, it is important that you read this article. It is very essential to know about the Operations Manager and its functions. Before we begin installing SCOM 1801, let us look at few SCOM terminologies. 2) Management Server – The role of the management server is quite important. The Management server administers the management group configuration, communicates with agents, and communicates with the databases in the management group. 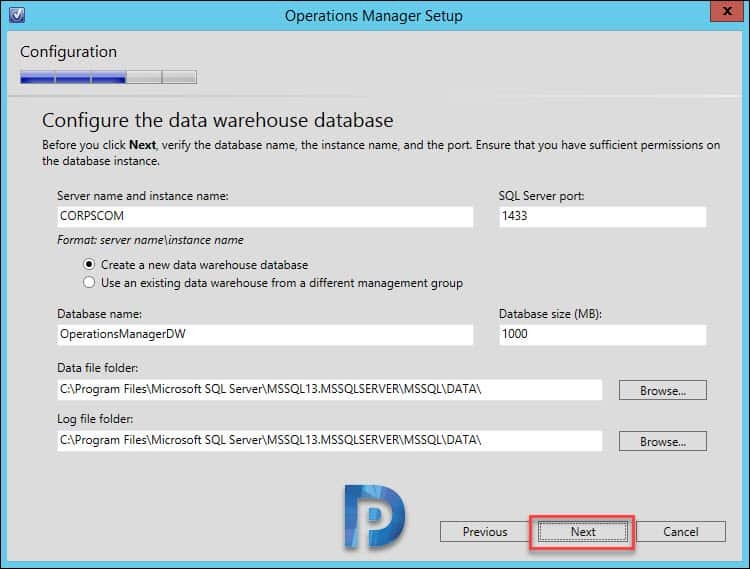 3) Operational Database – This a SQL server database that holds all the configuration data for the management group. It stores all monitoring data that is collected and processed for the management group. 4) SCOM Agent – A SCOM agent is a service that is installed on a computer. To monitor a computer, the SCOM agent must be installed. The agent collects data, creates alerts and reports to a management server. 5) Management Packs – Management packs define the information that the agent collects and returns to the management server for a specific application or technology. If you want to try SCOM in your lab setup, here is a good news. 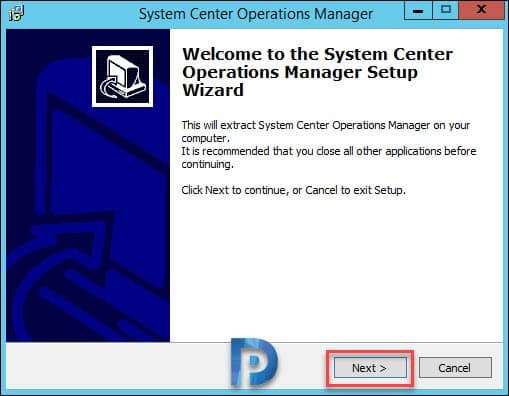 You can download System Center Operations Manager, version 1801 – Evaluation (VHD). 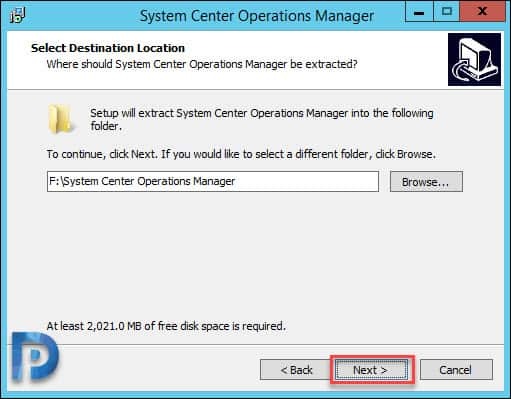 The download consists of files that you extract into a single pre-configured VHD file for this System Center component. The VHD enables you to create a virtual machine to evaluate the different System Center components. Click here to download SCOM version 1801 VHD file. If you want to test the SCOM 1801 eval version, click here to download. Before you install SCOM version 1801, you need to ensure your setup supports the installation. The SCOM hardware and software requirements are well documented here. Please read it before you proceed to install SCOM. 1. Install Windows Server OS (2012 R2 / 2016). Join the server to the domain. Ensure it is installed with latest updates. This will be our SCOM Server. 2. In the next step we will install IIS on this server. This server is also a management server that will host a web console. Run the PowerShell as Administrator and run the below command. Just a note here, specify the source path correctly. You could mount a Windows server ISO file and use that as a source. Restart the server once you install the below features. 3. 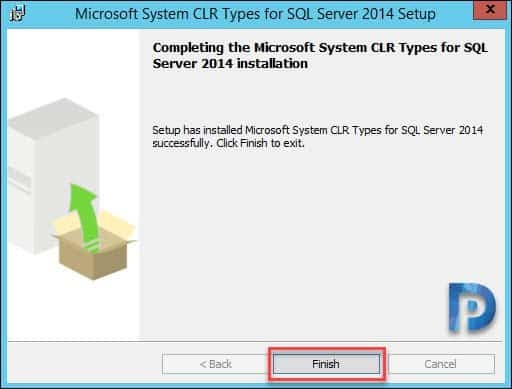 We will now install some more prerequisites – Microsoft System CLR Types for SQL Server 2014 and Report Viewer controls. The download links for each are below. 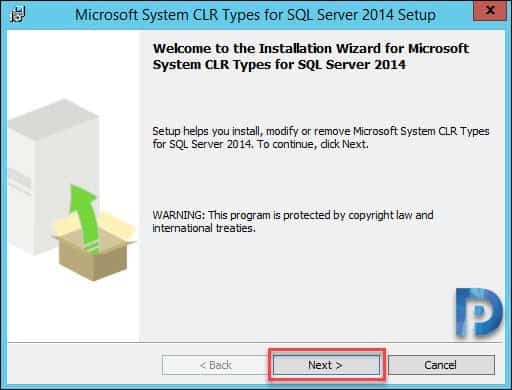 The Microsoft System CLR types for SQL server is a prerequisite for the Report Viewer controls. 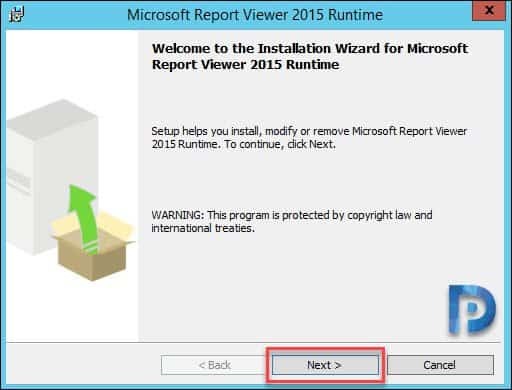 So we will first install it and then install report viewer controls. Run the installer and click Next. Accept the license terms and hit Next. 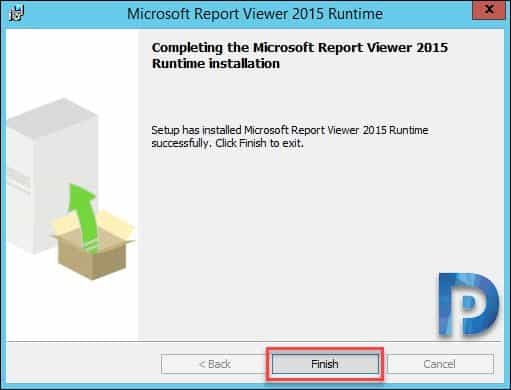 We will now install Microsoft report viewer 2015 runtime. Run the installer and click Next on welcome screen. Setup is complete. Click Finish. 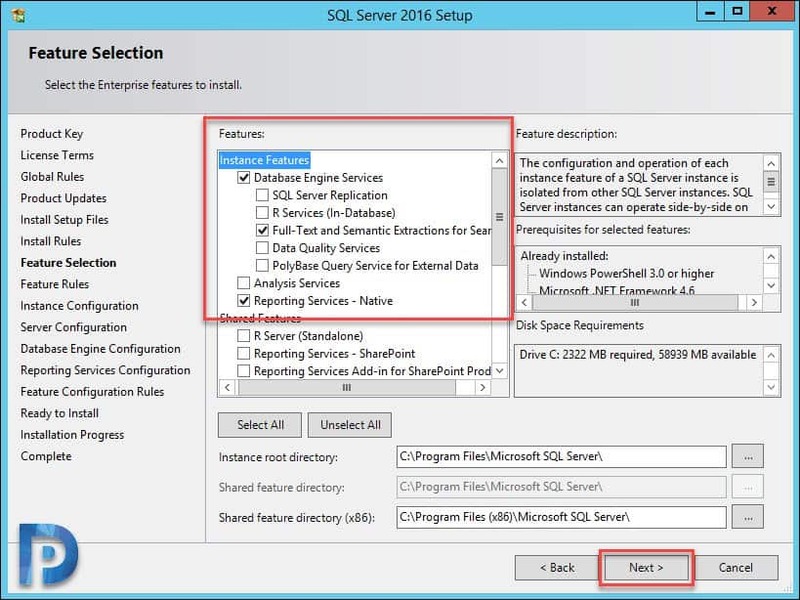 When you plan to install SQL server for SCOM 1801, you should know SQL server requirements for Operations Manager 1801. 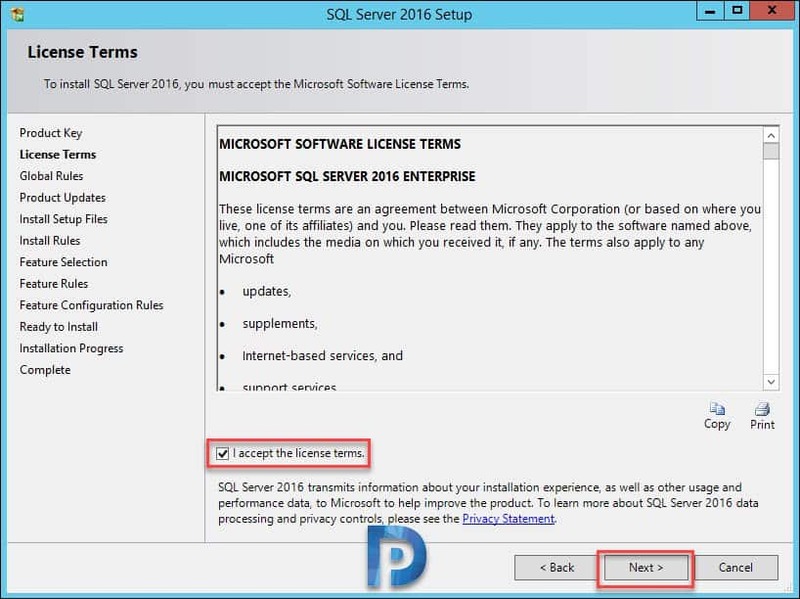 Here is a link for SQL server requirements for SCOM. 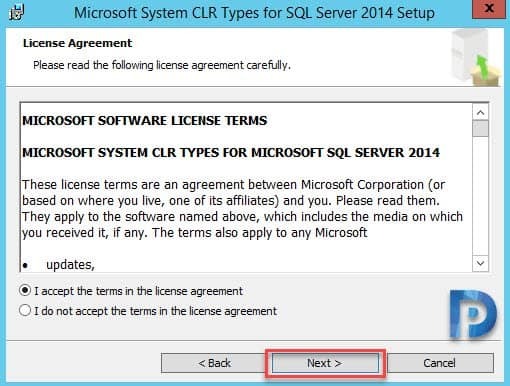 My suggestion would be to use SQL server 2016 and above. This will be useful when you plan to upgrade SCOM to next version. 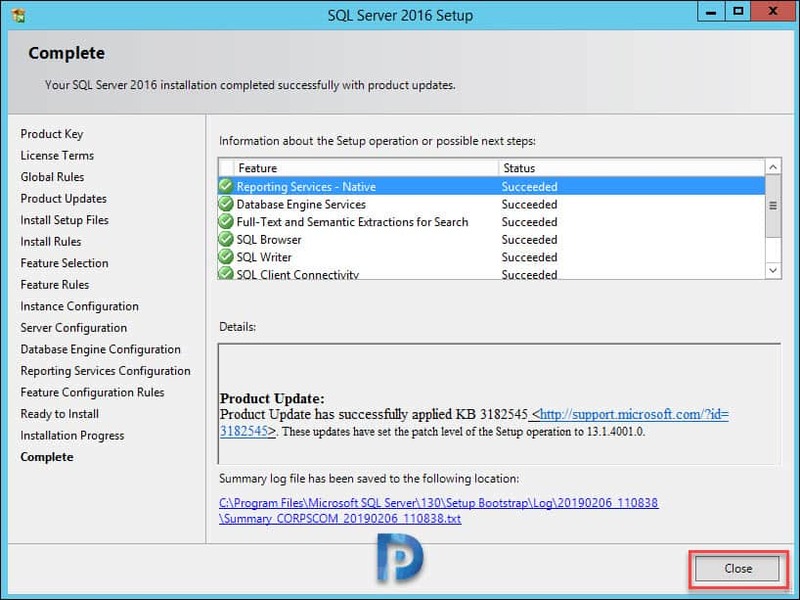 In my lab setup I will be installing SQL Server 2016 with SP1 enterprise edition. 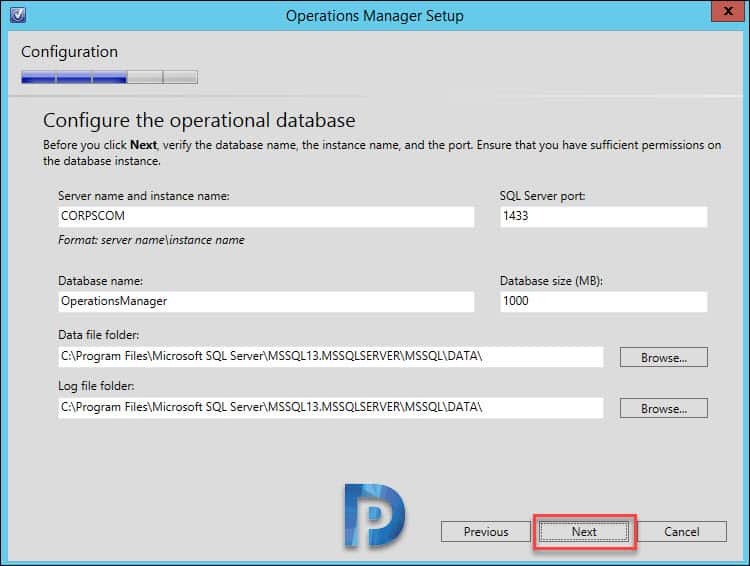 The version of SQL is very much compatible with Operations Manager 1801. 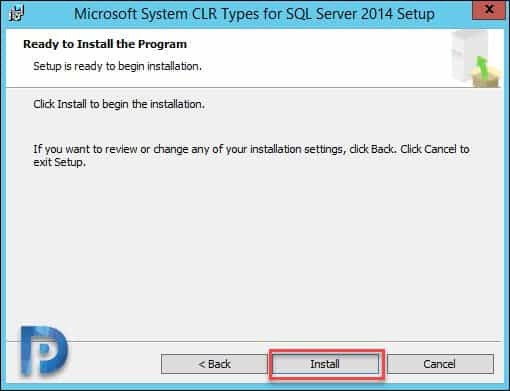 I am installing the SQL on the same server i.e. our SCOM server. 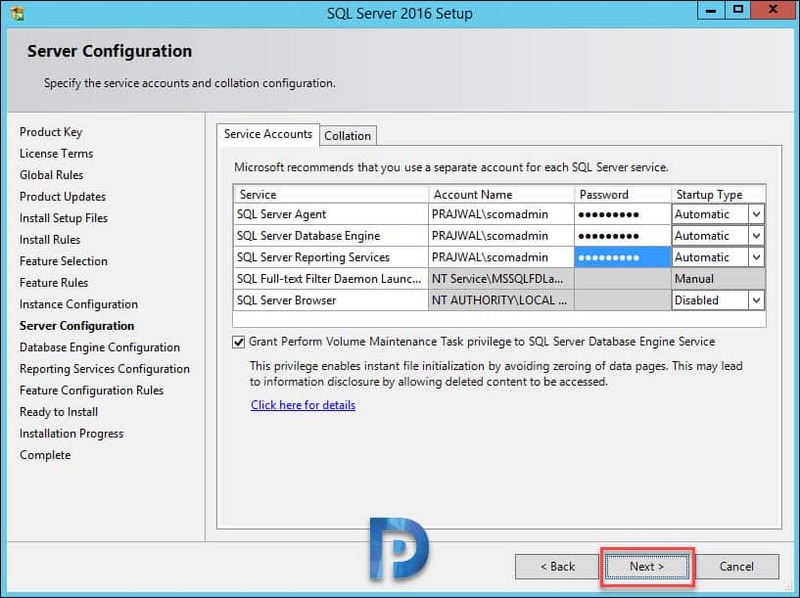 Mount the SQL iso file and run the setup as administrator. Click Installation on left pane. 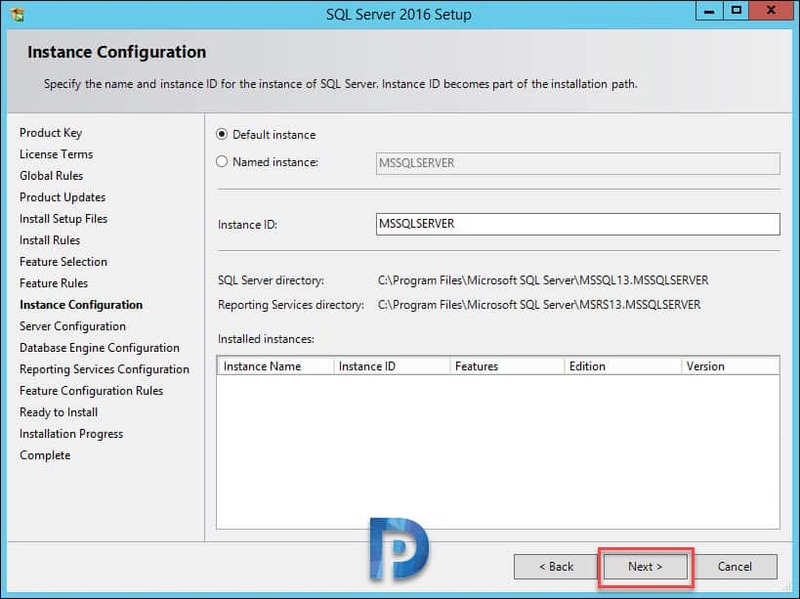 On the right pane click New SQL Server stand-alone installation or add features to an existing installation. 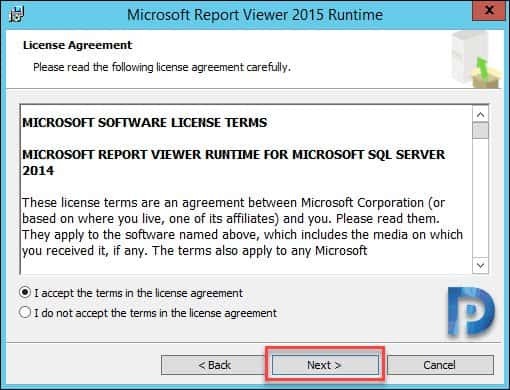 On the License terms page, accept the license terms and click Next. 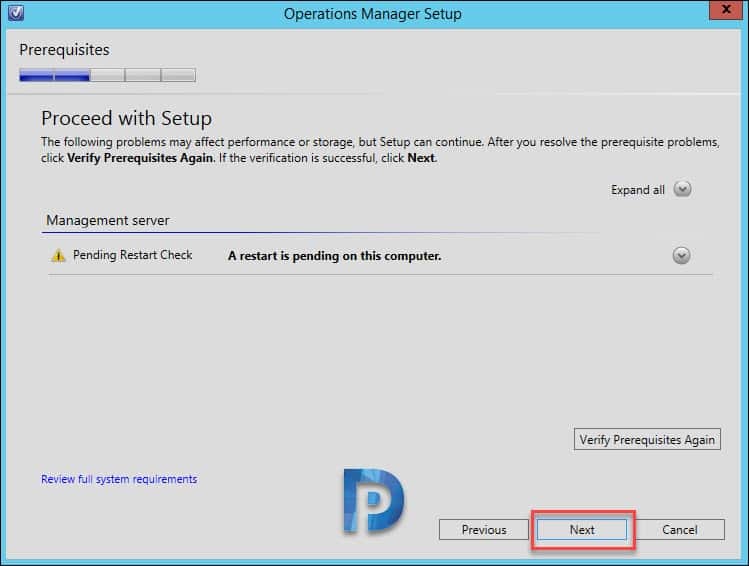 As I am installing the SQL server in my lab setup, I will choose Default Instance. Click Next. 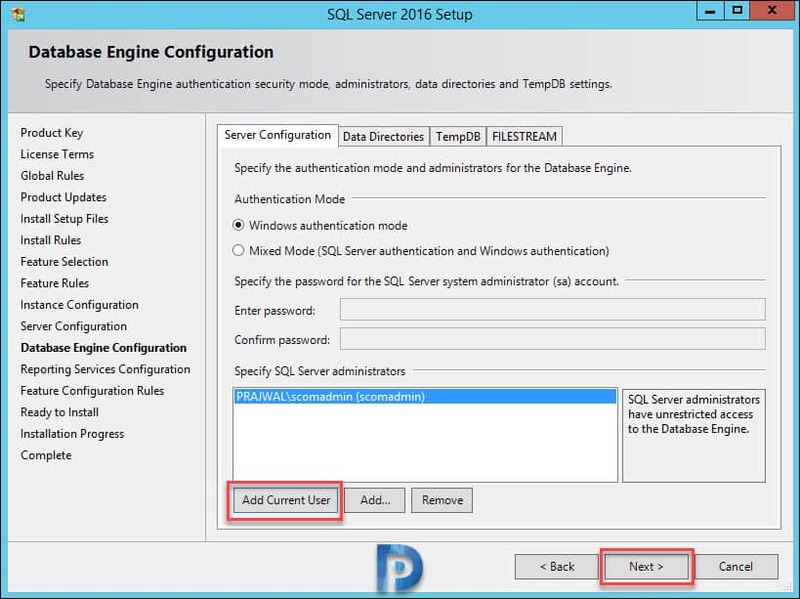 On the Server configuration screen, set SQL Server Agent to Automatic. I recommend using a domain account rather than using defaults for the service accounts. Enter the account and password for agent, database engine, and reporting services. Click Next. Most of all ensure the collation is SQL_Latin1_General_CP1_CI_AS. Click Next. Under Server Configuration, click Add Current User. Click Next. 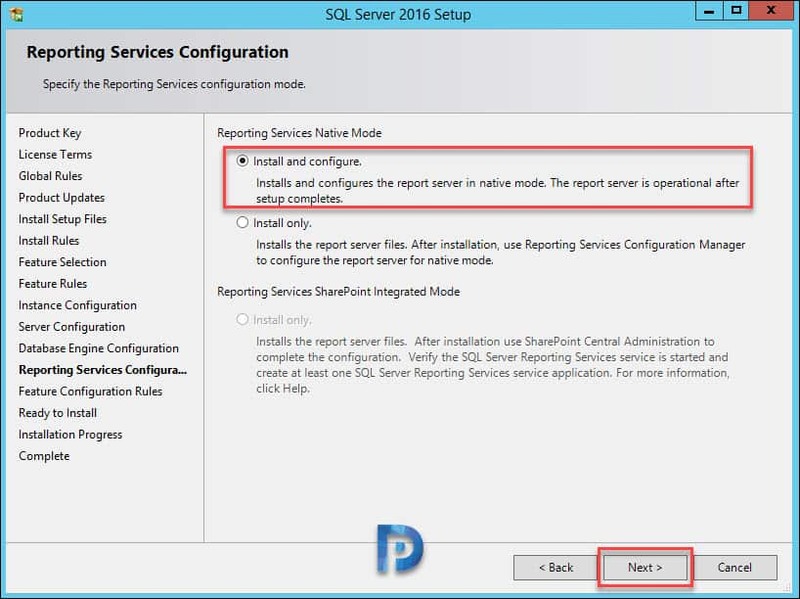 Under Reporting Services Native Mode, select Install and configure. Click Next. Click Install. You may grab a cup of coffee while the installation continues. So we just installed SQL server for SCOM 1801. Click Close. Note – I recommend to reboot the server once. So we have reached a point now where we can install SCOM 1801. We have installed SCOM prerequisites, SQL server. 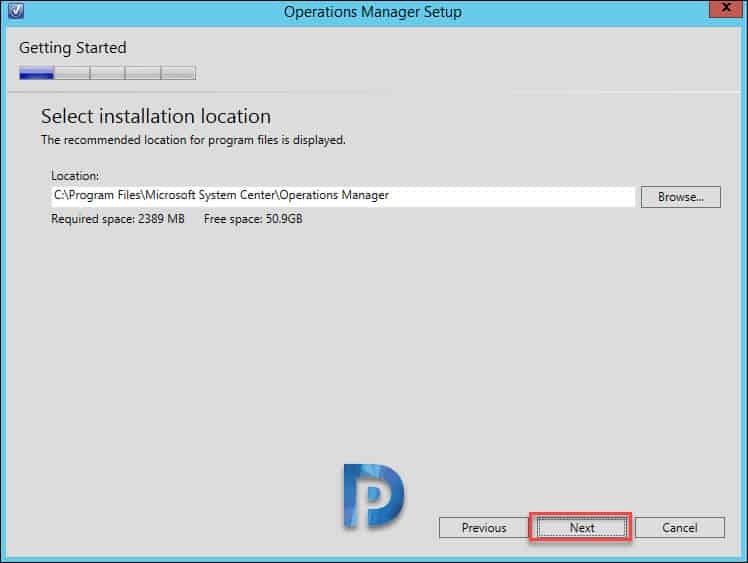 Everything ready to install Operations Manager 1801. Mount the operations manager .iso file. What you see a single file that contains the setup. But you must first extract all the files to a folder. 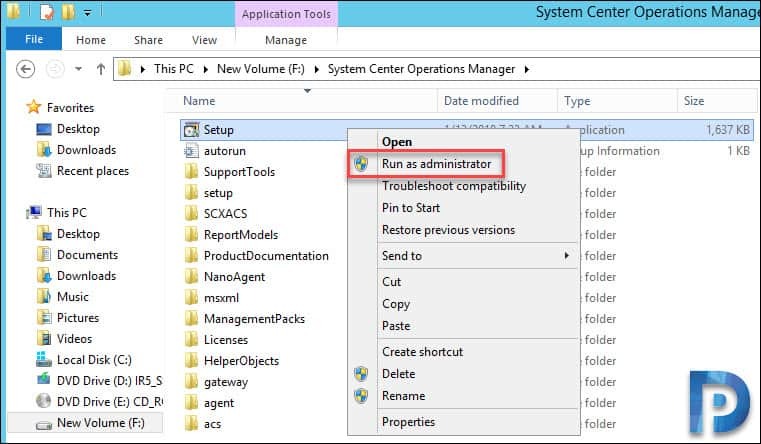 Right click SCOM_1801 executable and click Run as Administrator. 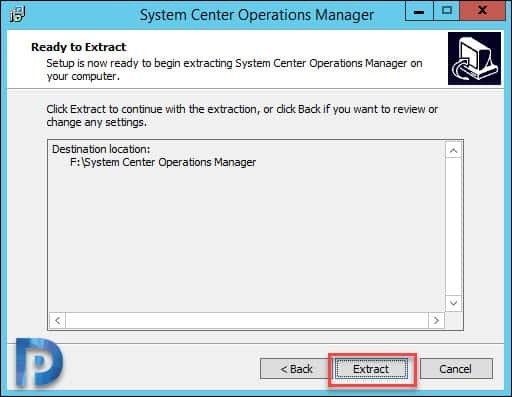 Select a folder where you extract System Center Operations Manager files. Click Next. We have extracted the files now. So let’s run the setup which brings the SCOM 1801 install screen. We will now install SCOM 1801 on our server. 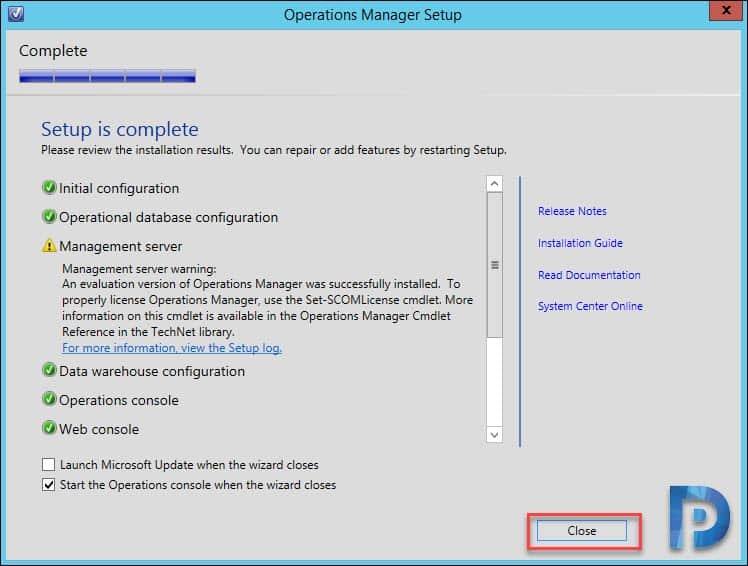 On the Operations Manager 1801 setup screen, click Install. You may choose to check that box which downloads the latest updates to the setup program. I am going to install all the features on this server. Select the features and click Next. I will leave the SCOM install location to default. Click Next. Oops ! Looks like I did not reboot my server post SQL server install. Anyways reboot your server and this shouldn’t show up again. Once I bounced my server, it says all prerequisites have passed. Click Next. You need to specify an installation option. You see two options here out of which we will choose the first option. 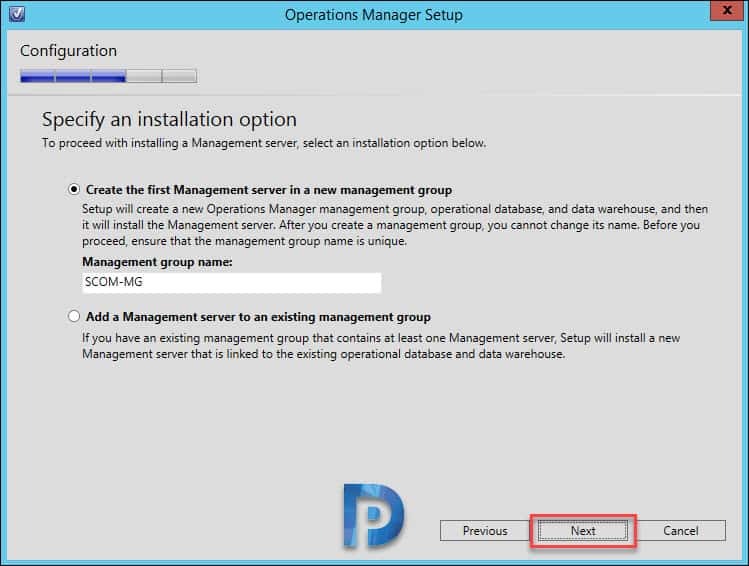 Create first Management server in a new management group. Specify a nice Management group name. Click Next. 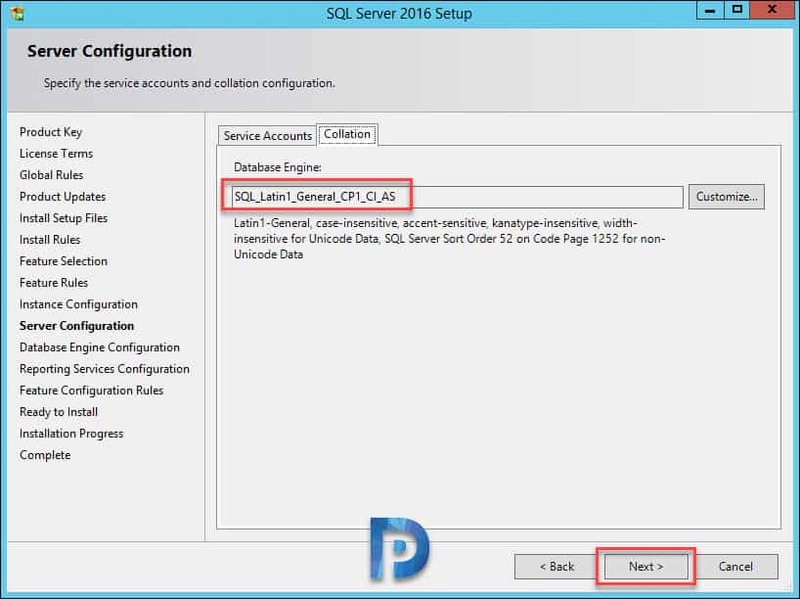 Choose the SQL server instance for reporting services and click Next. Select Default Web Site and click Next. Select Mixed Authentication and click Next. I will be using a single account “scomadmin” for all services. Hence I will enter the same account in all boxes and click Next. Final check before you click Install. The SCOM 1801 setup is complete. You see a warning for Management server. As we have installed evaluation version of operations manager, therefore there is a warning related to it. To activate SCOM you can refer this post. Click Close.